My flowering trees are simply amazing. They transform the garden and their blossoms will delight our senses. 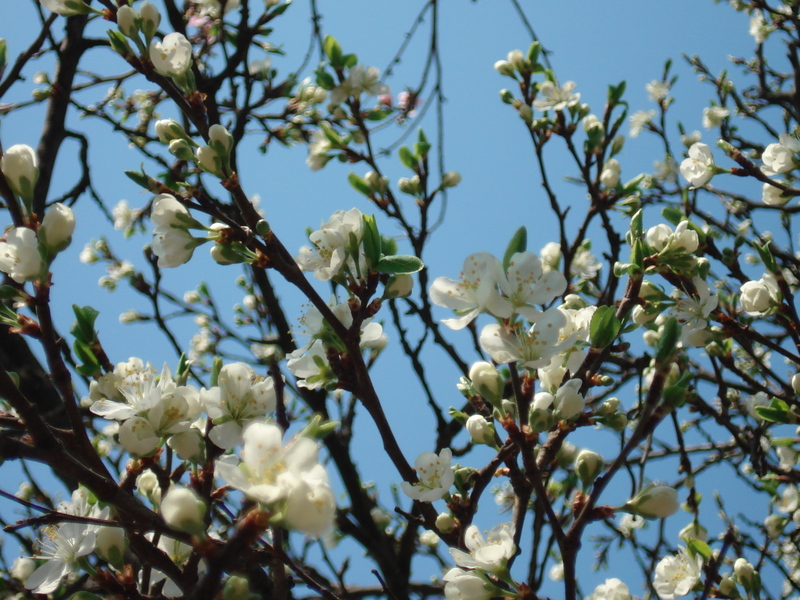 My trees produce masses of blooms in the spring and they attract pollinators. 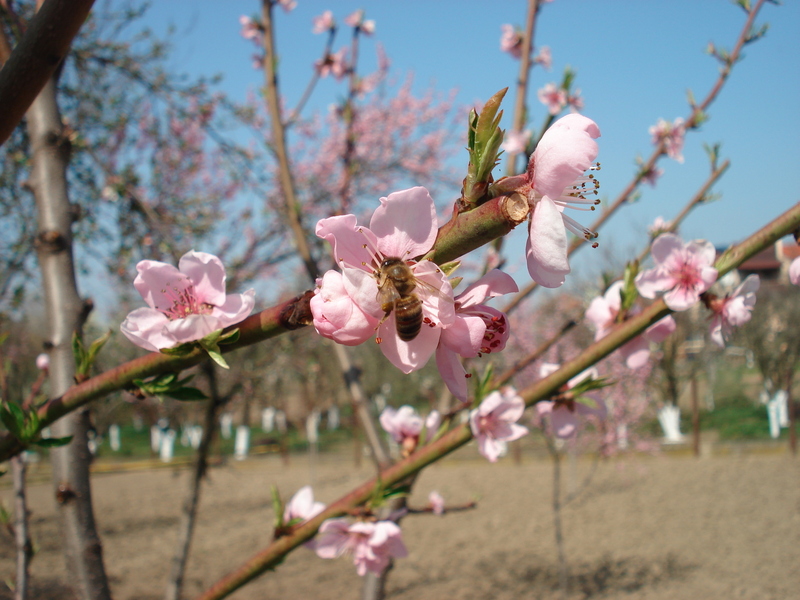 Bees are grateful and they travel from blossom to blossom. I grow about 3 different varieties of apple in my garden. They have pure white blossoms, flushed with pink. 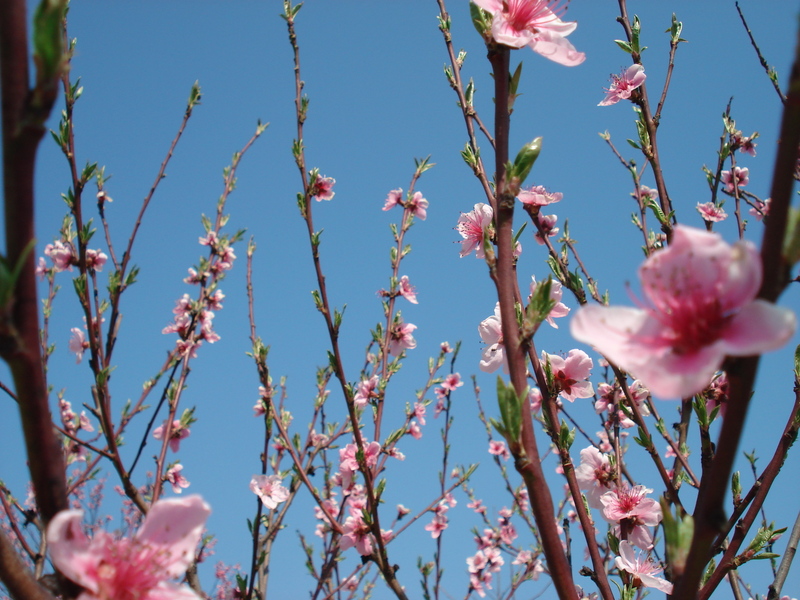 My peach and nectarine trees flower very early and I am always fascinated by their bloom. Actually they are the center-piece of my garden. They are grateful appearance with their pink blossoms. 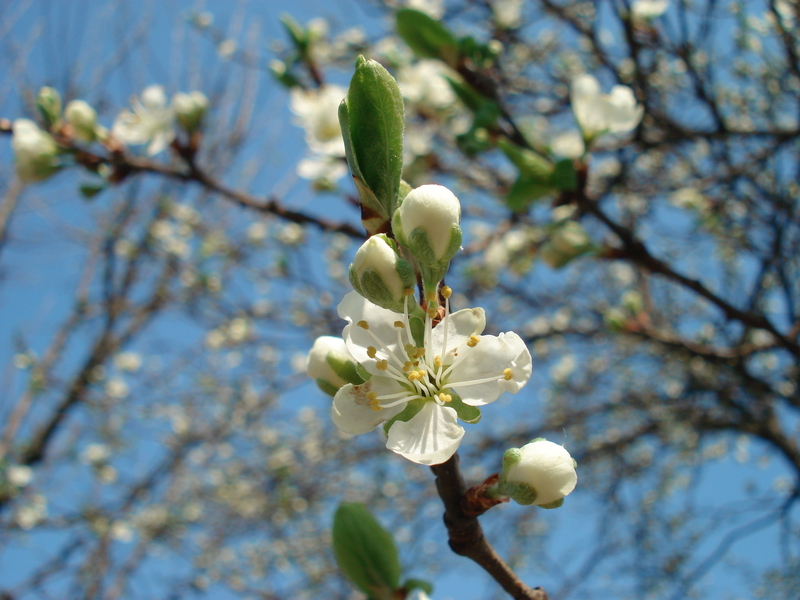 Plum trees bring also beauty and color to my garden. 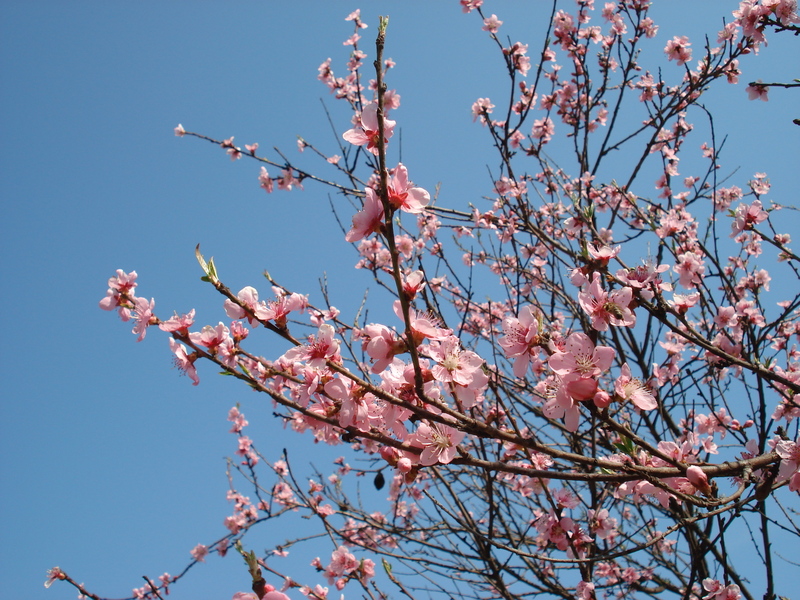 Plum blossoms have five petals and come in various shades of pink and white. 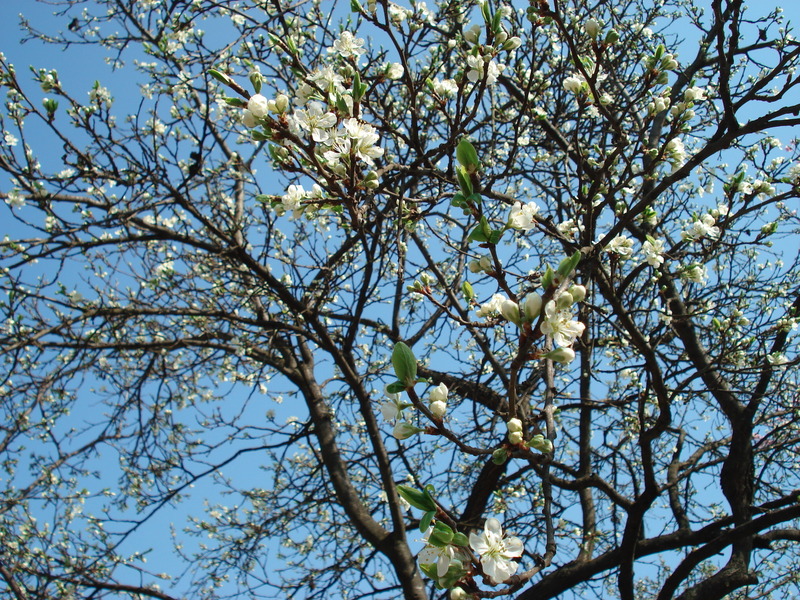 Flowering trees are the sign of spring! Two timid snowdrops are what I have! Your pics are truly lovely and give me hope! I LOVE blossom! 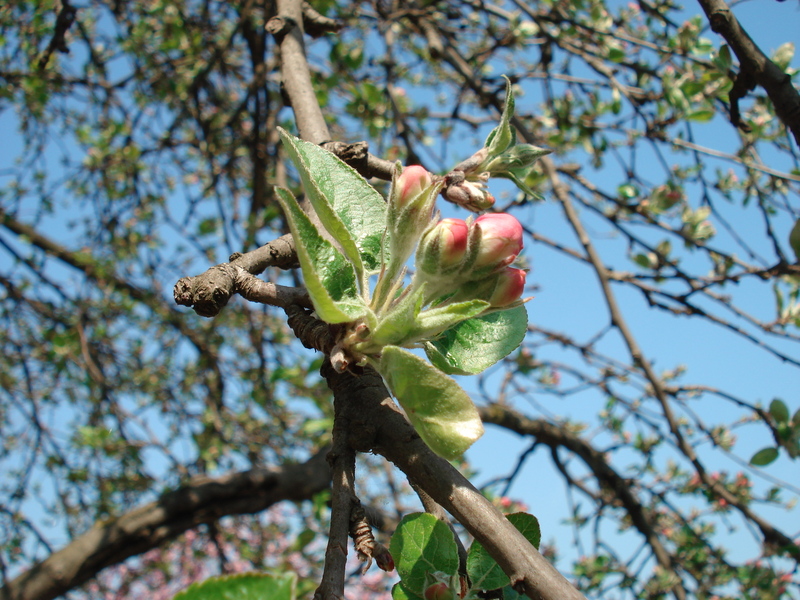 Have just been out to check on tHe progress of my little Apple tree..late, this year, I think, but the buds are just beginning to unfurl….. I love the picture with the bee in the blossom, very good shot. Every garden should have them, it should be the law, especially for front garden 🙂 and then just imagine what a street would look like in spring! Wonderful! Gorgeous! Feeling very excited about spring this year! I have just been out checking on and pruning my trees. Lovely for mr to see what I have to look forward to. Lovely!! I miss spring so much. 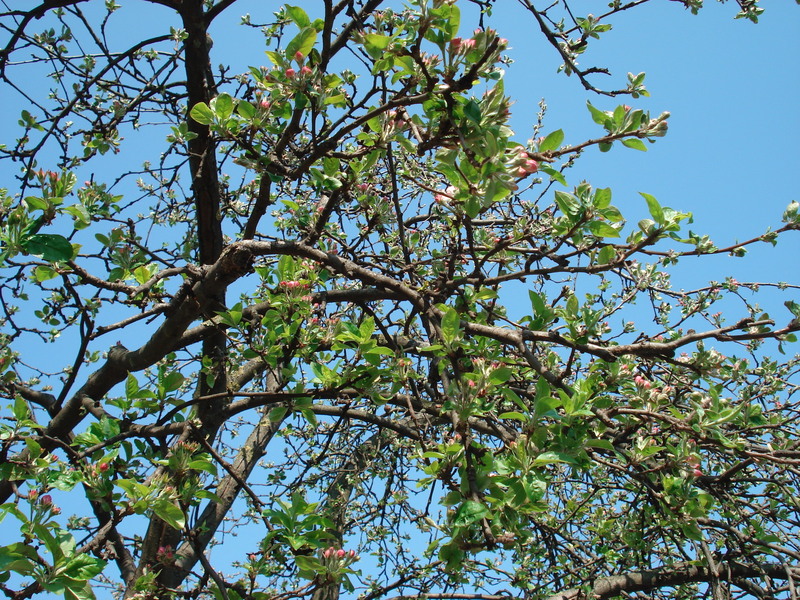 My trees have yet to blossom… What a treat yours are! Your flowers are beautiful! They make one so optimistic about the fruit to come later in the season. So many flowers portend a bountiful crop. Paste plin de lumina si caldura iti doresc Andrea! Macar ce a mai ramas din el si Hristos a Inviat! Adevarat a inviat! Eu am sarbatorit putin mai devreme Pastele Catolic, dar ne-am bucurat si de aceste zile, mai ales ca am avut vreme mult mai frumoasa :-). O primavara frumoasa iti doresc si tie! Ah! N-am stiut! Si ai dreptate, vremea chiar a fost de partea noastra! In sfarsit putin soare! Ma bucur sa vad ca postezi iar! It must smell like heaven around your yard now! Bloggerias about art, musings, creativity, espiritu & familia. I don't know where I'm going from here but I promise it won't be boring.